We uploaded January report '17. 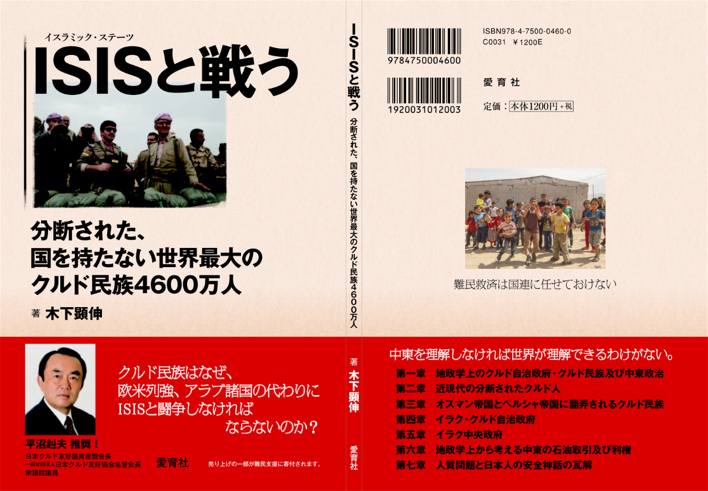 The book titled, "Fight with ISIS", written by Mr. Akinobu Kinoshita, was released nationwide in major bookstores after January 29, 2016. Ethnic problems and religious conflicts concerning Sunni, Shia and Kurdish are critical problems in the Middle East and have worldwide implications. Japanese people do not understand the situation due to lack of information. Mr. Kinoshita, the author of the book and Chairman of the Japan - Kurdistan Friendship Association wrote a clear analysis of the history of the Kurdish and the refugee's problems in the region. The analysis is based on information obtained on the field from personal connections. 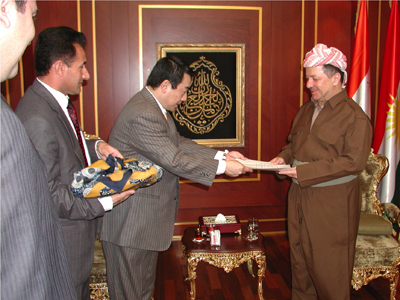 Copyright©Japan-Kurdistan Friendship Association. All Rights Reserved.